This is a useful form of finance for early-stage companies, and in particular for businesses which are not yet established enough to access debt. It allows companies to sell shares in their business to investors through online platforms. Its popularity is partly attributable to the Government’s SEIS and EIS tax schemes. An added benefit of this form of funding is that it can increase sales by raising awareness of your product or service. Since the advent of the financial crisis, the large banks have cut down on the lending they do to SME businesses. P2P debt lending platforms have helped plug this gap, connecting individual investors to companies seeking funds. It is increasingly becoming a mainstream mechanism for businesses to access funding, and in particular for those turned down by the big banks. This is a useful form of finance most suitable for retail-based businesses. It allows companies who use card terminals to secure lending. The size of potential loans is based on the volume of sales transacted on a monthly basis. The profile of companies it is suitable for are those which do not have assets to lend against, but which incur a high volume of card transactions. Repayments are typically taken as a percentage of revenues. This gives businesses flexibility as this will go up or down depending on their financial performance. For example, if the company is performing particularly badly one month less payment will be required. Another key benefit is that repayments are easy, with them being taken at source from the card terminal provider, rather than being taken out of a business’s bank account. Businesses which regularly raise invoices to their customers are likely to be eligible for invoice finance. Whilst it is common for invoices to have payment terms up to 90 days, invoice finance lets you access most of this cash immediately, without having to wait to get paid. It can be a really useful tool to ease cash flow and allows companies to access faster payment for completed work. Fees from invoice finance lenders are charged as a percentage of around 3%, with the bulk (i.e. 85%) of each invoice being paid immediately by the lender. Customer invoices are paid directly to lenders, with the outstanding balance (i.e. 15%) then being transferred to the borrower business. Different types of invoice finance products include invoice discounting, invoice factory and single invoice finance. A revolving credit facility is a flexible type of working capital finance. This product is similar to an overdraft facility and allows businesses to draw down on funds. Fees for the service are calculated by an interest rate applied to the borrowed amount and the length of time this credit is borrowed for. The amount of credit made available tends to be calculated as one month’s worth of revenues, with the business owner having to give a personal guarantee, rather than the security of assets. This type of finance is suitable for very early stage companies, with lenders commonly supporting companies who have been trading for just a few months. It allows companies to plug short-term gaps in their cash flow such as needing to pay suppliers. Examples of lenders include well-known banks such as HSBC, as well as newer Fintechs (i.e. Iwoca and Lending Street). There are now so many different types of niche and specialist products on the market, that it may not be possible to know which types your business specifically qualifies for. Using business finance price comparison sites like Capitalise and Funding Options allows businesses to see which loans and lenders they likely qualify for by submitting information on their business and situation. 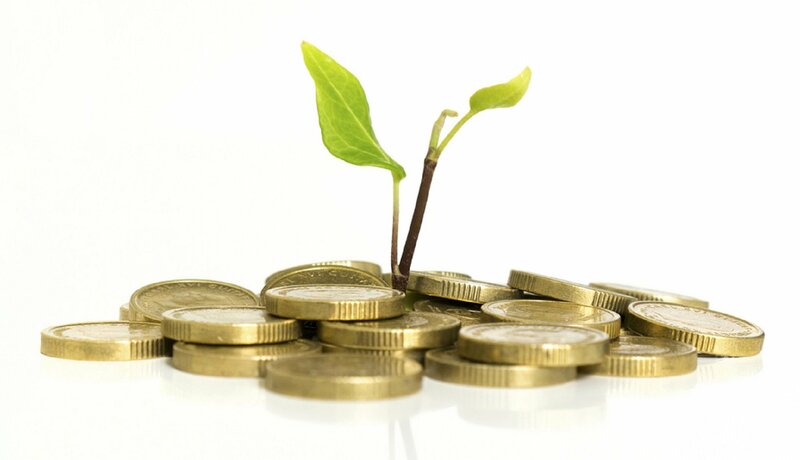 Cottons Chartered Accountants offer a range of financial support services. With local offices in London, Rugby, Daventry and Northampton, our teams specialise in small business finance and accounts. Talk to your local accountant or our Corporate Finance Team about finance options for your business.